Team Stats in "BEST PLAY BASEBALL '00"
There are many studies that research on the relations between player-data or manager-data and stats in "BEST PLAY BASEBALL '00". But, today, there are few study that we can read and verify. 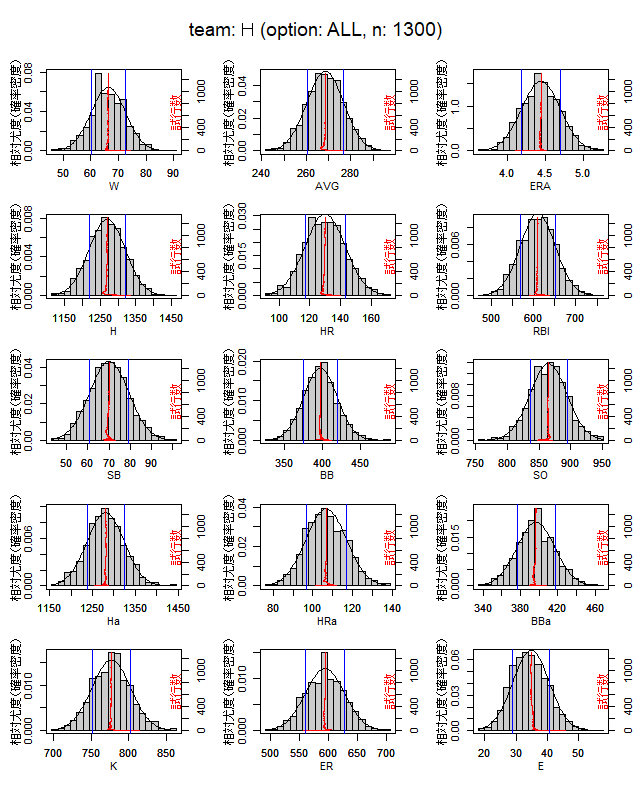 We show that the probability distribution of each team stats are able to be considered normal distribution. This result suggests that we can use t-test to analyze the relations between player-data or manager-data and stats. As a preliminary study, we actually use t-test to analyze the relations between the defense ability of shortstop or third-baseman and team stats, and discuss the merits and problems of this method.